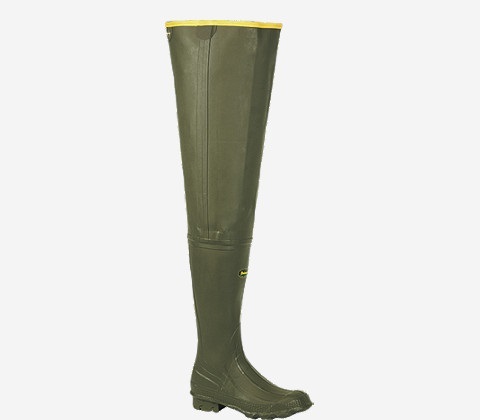 The LaCrosse Big Chief hunting hip boots with 600 G Thinsulate Ultra Insulation for colder environments, are 100% waterproof and made of zone-resistant and scent-free premium rubber with nylon lining for easy on/off. 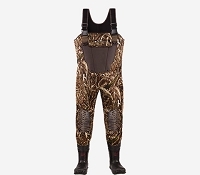 An adjustable internal calf harness ensures a proper fit while a removable EVA footbed offers cushioning comfort. 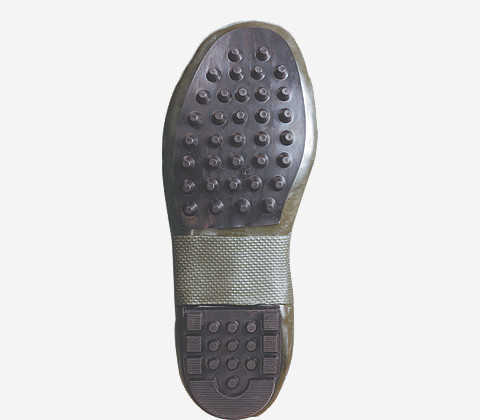 The Ankle-Fit design reduces slippage and provides a better fit and walking comfort. Ozone-resistant, abrasion-resistant scent free rubber offers 100% waterproof protection. Nylon lining for easy on and off. 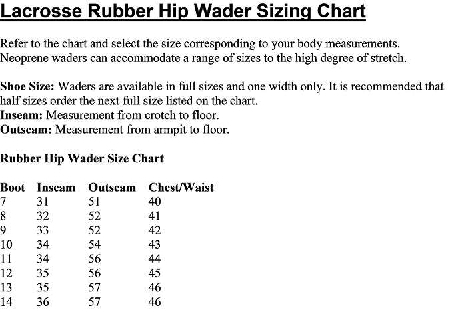 Adjustable, internal calf-harness for proper fit. EVA removable footbed for cushioning comfort. The large cleats shed mud and debris while giving you great grip and traction. The large cleats shed mud and debris while giving you great grip and traction.